Teammate Sara describes our day-by-day experiences at EARTH University. After a rather hot and sticky night, the team were up bright and early at 6 am ready for the long and winding 100 km drive to Earth University. We emerged from our hotel suite, somewhat jetlagged and hungry, we made our way downstairs to the breakfast room. The breakfast was pretty standard, with coffee, tea and juices and a range of breads and spreads. 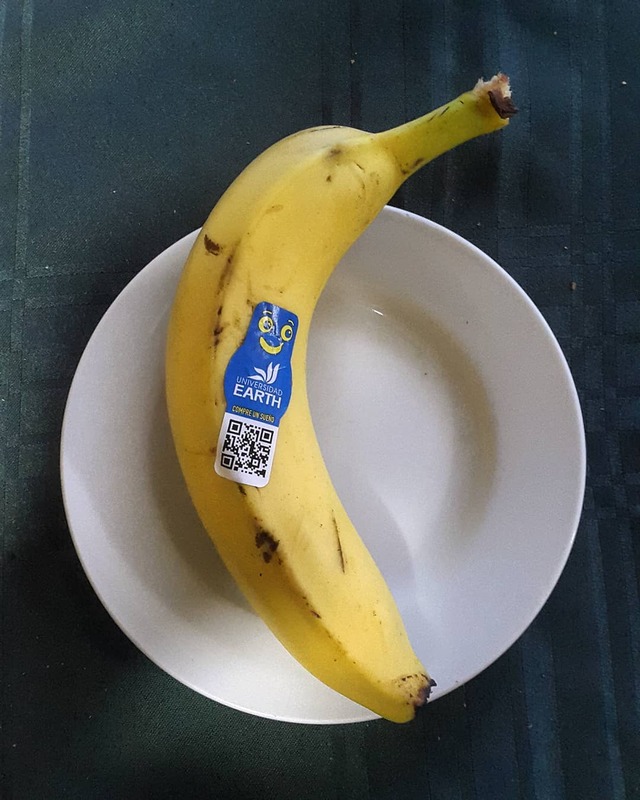 But what caught my eye were the bananas! They had this little blue sticker on which was written ‘EARTH Universidad’ – EARTH University, the very place we were going to visit that day! We all tasted the fruit, taking our time to take in the flavours – the verdict was that they tasted sweeter with a fuller flavour than what we had eaten a day earlier in the UK. Was it because the bananas were fresher? This was a question we wanted to ask when visiting EARTH University. Fueled up from our breakfast, we made our way back to the airport to get our rental cars. Meanwhile, some of us were busy charting our course to the university. It was 8:30 am, all 17 of our bags were packed in the cars and we were off! After just over two hours of navigating the narrow streets of San Jose, cloud forests, tunnels and highway construction work, we arrived at the university. My first impressions of the university campus were how beautifully curated the gardens were and how big the campus was. We were greeted at reception by Wayne, the communications director at the university. During lunch, he explained to us the history and research interests of the university. 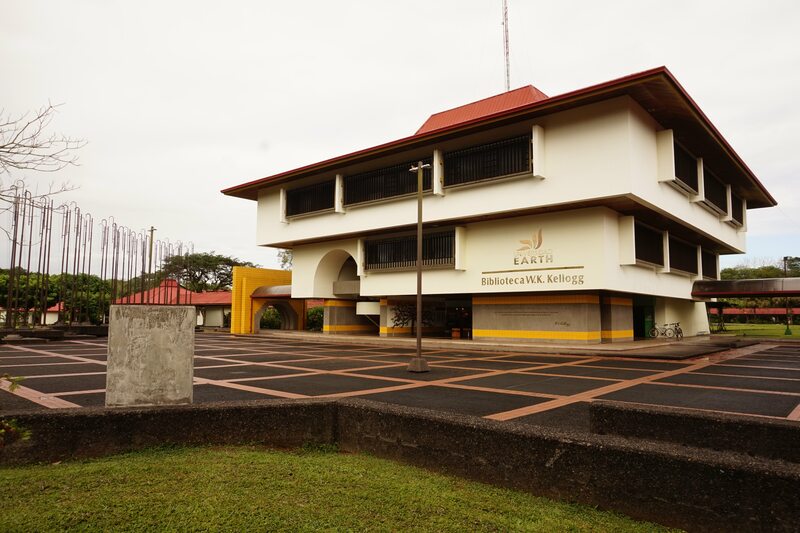 He told us that EARTH University specialises in agricultural practical education for over 400 students and also has several organic banana plantations. After lunch, the team prepped for the first interview, with Erick Aguilar, the commercial manager of the banana plantations at EARTH. 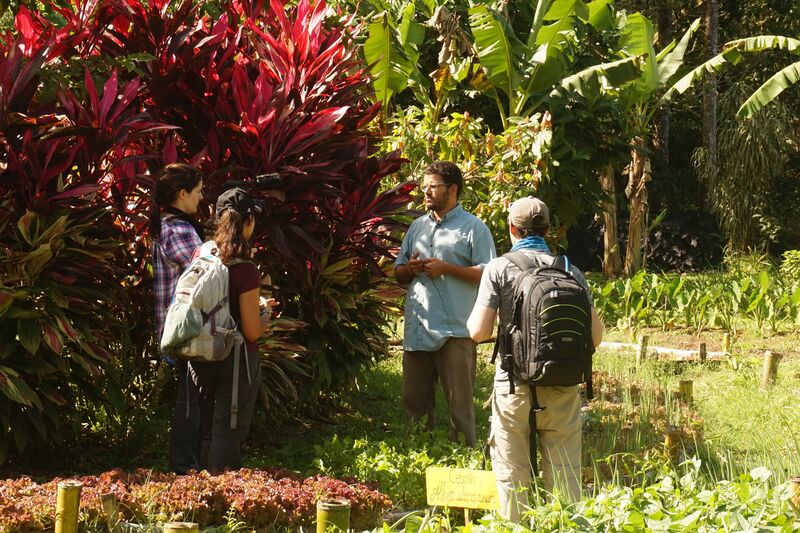 We filmed the first part of his interview outside near the organic banana plantations. He explained to us how they grow bananas in an organic system. Erick also highlighted the importance of the social aspect of growing bananas. “You must care, respect and value your workers” he said. Even during his interview, whenever a worker cycled by, he would stop and acknowledge them by name. For the second part of the interview, we were shown the sorting and packaging facilities on site. We saw the banana train, which brought the harvested bananas from the plantation to the facilities. Erick explained to us the step by step process from the washing, sorting, weighing and packaging the bananas ready for export. 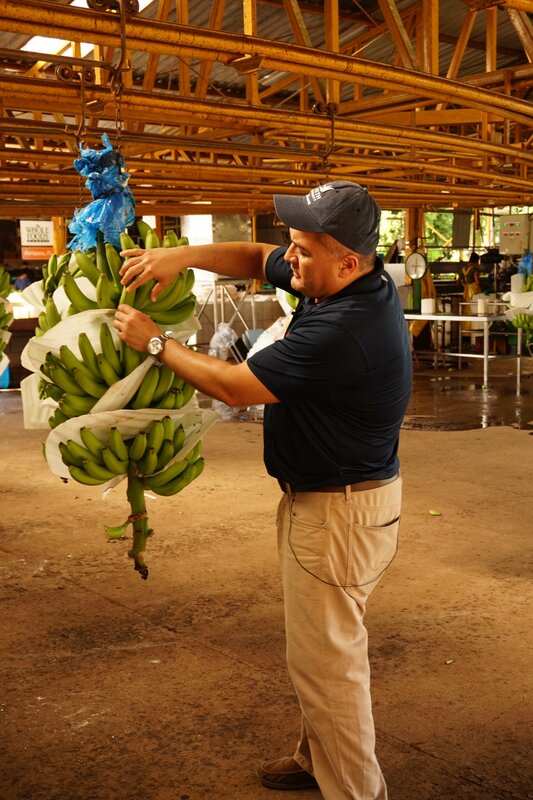 We saw how quickly the workers sorted the bananas according to quality, with premium quality destined for international export and second or third quality for local markets. Unmarketable bananas were given to the pigs on the farm or shredded to serve as compost. On the other side of the large warehouse, we saw the workers weighing and then packing bananas in boxes ready to be placed in large trucks, which would go to the ports for export. Erick explained to us that it takes about 2 weeks between harvesting the bananas and transporting them to make their way to the supermarket shelves in the US or Europe. 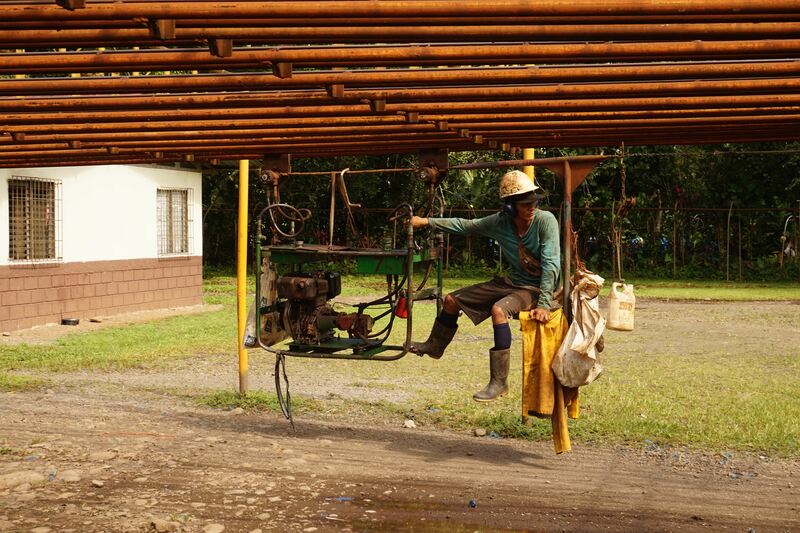 After the tour of the facilities, I came away feeling grateful for the opportunity to have seen in detail the beginning of a long journey along the supply chain for the banana, and this was just the first interview we had conducted! After a quick lunch break and a short time to reflect on the team’s first interview, we were back out on another plantation on the other side of the campus. 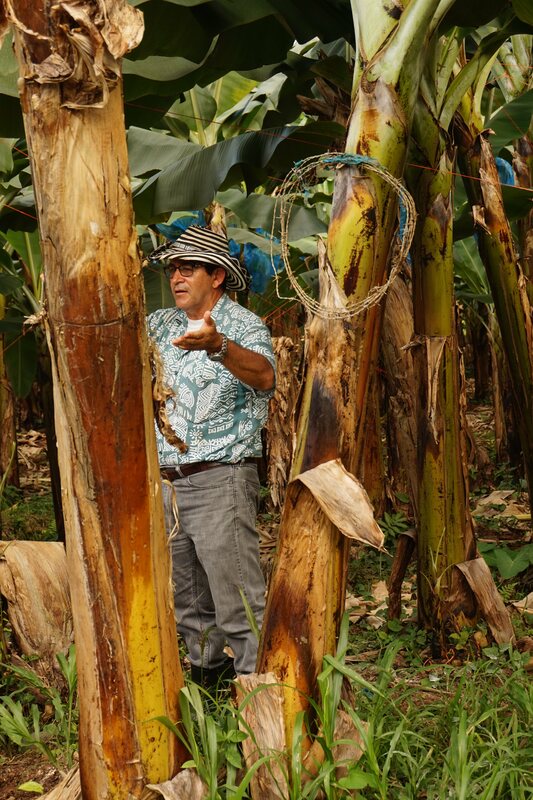 We interviewed Luis Pocasangre, a Professor at Earth who specialises in agricultural plant sciences, with a particular interest in soil health and banana plant pathogens. He explained to us the real concerns and risks to Latin America from the devastating fungus Tropical Race 4, which is already affecting over ten countries in the Asia Pacific. 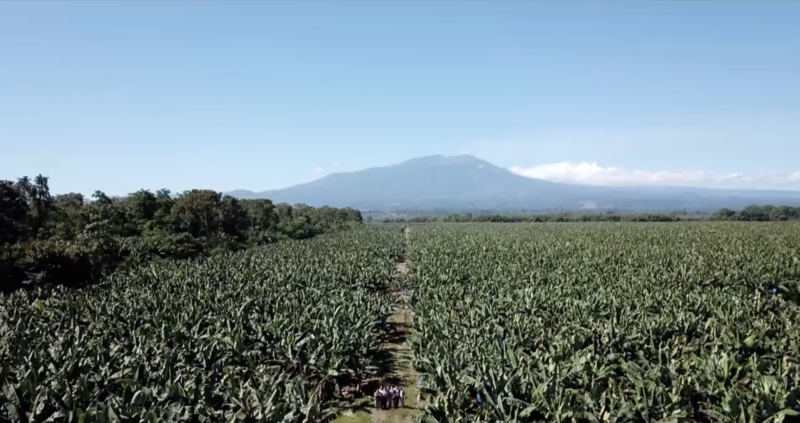 He also highlighted a number of other diseases already threatening banana production in Costa Rica and wider Latin America, such as the microscopic parasitic worms called nematodes and a fungus called black sigatoka. Day two at EARTH, some of the team were up at dawn to go bird watching around campus. We spotted some beautiful Oropendolas and heard their magical calls. At 5:45 am, we were having breakfast, ready to meet Luis and his group of students at the plantation we saw the day before. Suitably caffeinated, we then jumped into our cars and drove 15 minutes to the other side of campus to the plantation. 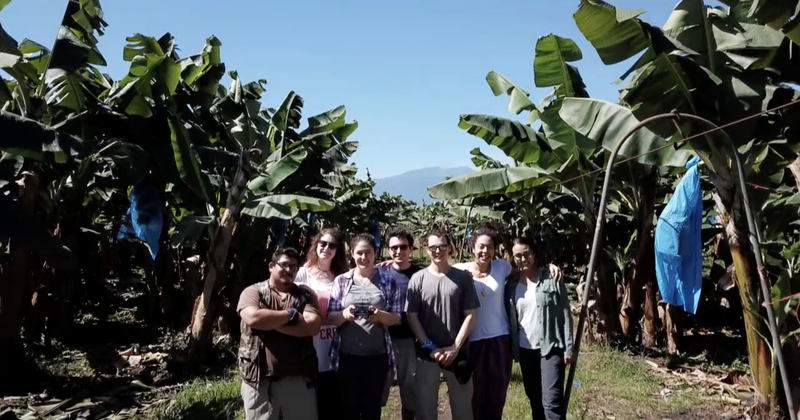 Half the team filmed the practical lesson between Luis and the students, which was about identifying healthy soils on banana plantations. The other half of the team filmed around the plantations and took pictures. We also had a great opportunity to interview four students about why they came to Earth and why they were interested in banana cultivation. Some interesting points arose, such as wanting to learn good sustainable practices to take back to their home countries. It was only mid-morning, and after several interviews that we realised the intensity of the sun - the heat. After a quick break and sufficiently hydrating ourselves, we moved our attention to getting some drone footage. We had no idea how these plantations fitted in the surrounding landscape and their impact. We flew the drone up 80m high, being mindful of the vultures circling above us, which at times were getting rather too inquisitive of the drone. We were in awe at what this perspective showed! 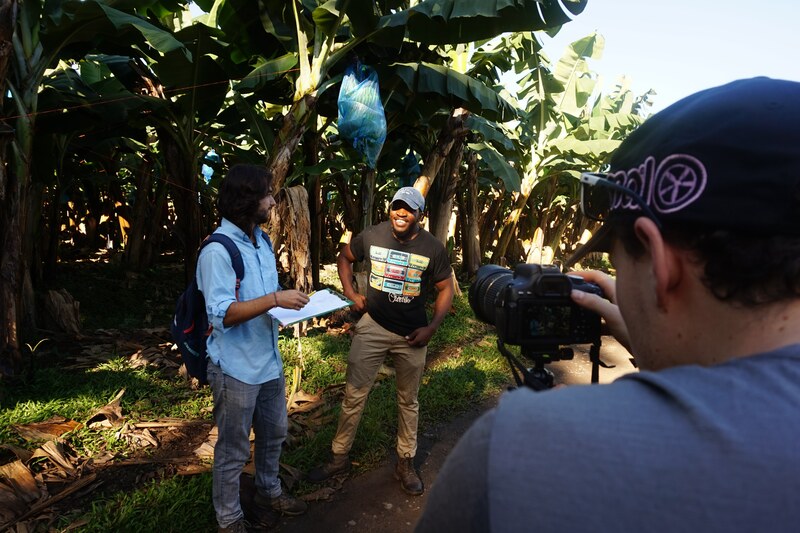 After a well-needed lunch and micro nap, we set out again - to film on the small-scale organic banana and cocoa farm. Some of the team interviewed Armando, a tropical ecologist. He showed us different aspects of the farm including cacao agroforestry, and different banana varieties. The other half of the team were responsible for B-roll (non-interview footage) and captured different aspects of the farm from the pigs to the vegetable patch. It was the end of day two at EARTH and over dinner, the team reflected on all the interviews and B-roll footage we had captured. It was an intense two days and we all had a quiet evening sorting through and transferring footage to the hard drives. On the morning of day three at EARTH, the team was split between capturing more B roll around the campus and planning for our future interviews and fieldwork. We left EARTH University around 10:30 am to go back to the capital, San Jose. Sara is passionate about people and plants! 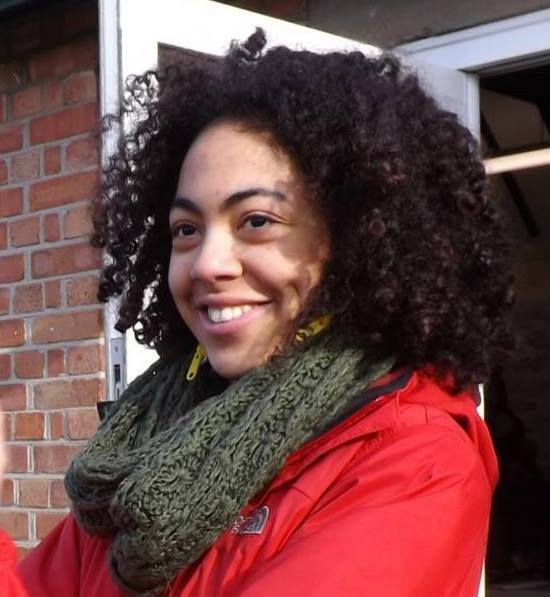 In between her plant ecology research at Oxford Brookes and Imperial College London, she worked in primary schools, where she ran gardening and science clubs. She enjoys sharing her love of science and the natural world with others. In her spare time she enjoys nature photography, yoga and knitting. Sara hopes this documentary will inspire people to make small meaningful changes to help create a more sustainable future for people and the planet.